Much has been written about the vibrant cultural and social scene that exploded in Rome as the city emerged from the trauma of World War II. It was the place to be in the 1950s and 1960s as can be seen by the scandals, drama, and artistic output that continue to be a source of fascination decades later. In a new book, Caroline Young examines this time via the lives of several prominent actresses who worked, made their home, and battled with paparazzi during this time. They are a varied lot: Anna Magnani, Sophia Loren, Ingrid Bergman, Audrey Hepburn, and Elizabeth Taylor among them, but there are several commonalities among their lives as well. You get a taste of what they experienced during turbulent times in this addictive read. Young has divide her book by actress, devoting chapters to them within which she also explores other personalities and events in the city. Taking a essentially chronological path, she’ll come back to these women, giving them a chapter for the early phases of their Rome experience and then coming back to them in another chapter which examines later years of their time in the capitol, as if she is checking in to see how things are progressing. It can become a bit chaotic jumping between stories, which is jarring on one hand and an appropriate reflection of the times on the other. The profiles are an even balance of history and sensation, delving into the lives of each woman, but also giving plenty of space to the scandals that drew the press to them or were perhaps inspired by aggressive paparazzi in the first place. It can get juicy, but the actresses are also treated with respect. 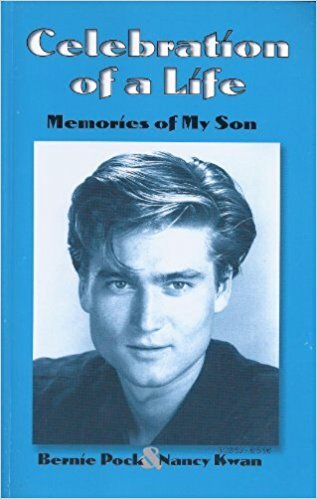 It's an entertaining book, with a mix of well-known stories and less familiar tidbits. It’s perfect as a frothy beach read, but has substance as well. 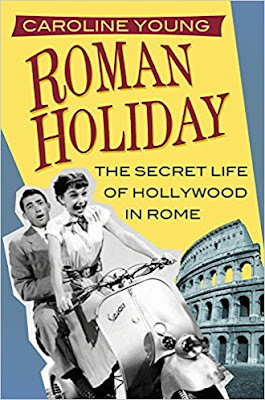 For a more deeply researched, comprehensive study of Rome in this vibrant time, I’d recommend Shawn Levy’s Dolce Vita Confidential, but as a tribute that provides a view of mid-century Rome from the perspective of these actresses, Roman Holiday is a satisfying history. Many thanks to The History Press for providing a copy of the book for review. Here is my schedule for the moment, though I have to admit I'm already considering several changes. That's the nature of the festival! 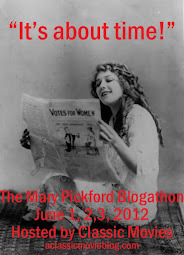 I'll share more photos and experiences here at A Classic Movie Blog when I return. 2. Of course the true beginning of Kwan's film career was The World of Suzie Wong (1960). Only twenty and she grabbed a lead role for her debut! She's wonderful as Suzie, because she perfectly captures the character's innate dignity. Perhaps she has been forced to make a living in a profession that can be degrading, but at her core she is always a queen. 4. My favorite Nancy Kwan flick features the actress in the kind of role I wish she'd gotten more often. In The Wild Affair (1963/65), she plays a sharp-witted, adventurous office worker on the verge of matrimony who plans a crazy company party. She's also delightfully hip in her Mary Quant costumes and Vidal Sassoon hairstyle. 6. I love how Kwan can leave herself open to fate, but at the same time take control of her destiny. In 1970, Kwan returned to her home in Hong Kong to care for her ailing father. 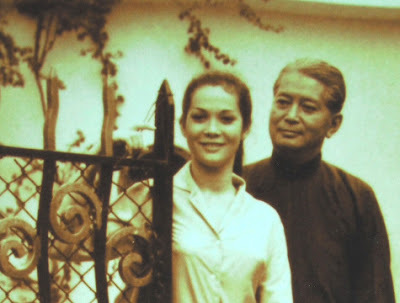 She had only planned to stay for a year, but instead ended up remaining for seven years and founding Nancy Kwan Films. The company primarily produced commercials for viewers in Southeast Asia. 7. Always the compassionate activist, Kwan processed her grief over her son Bernie Pock's 1996 death from AIDS by producing a movie about him and writing the book Celebration of Life-Memories of my Son, the proceeds from which she donated to AIDS charities. 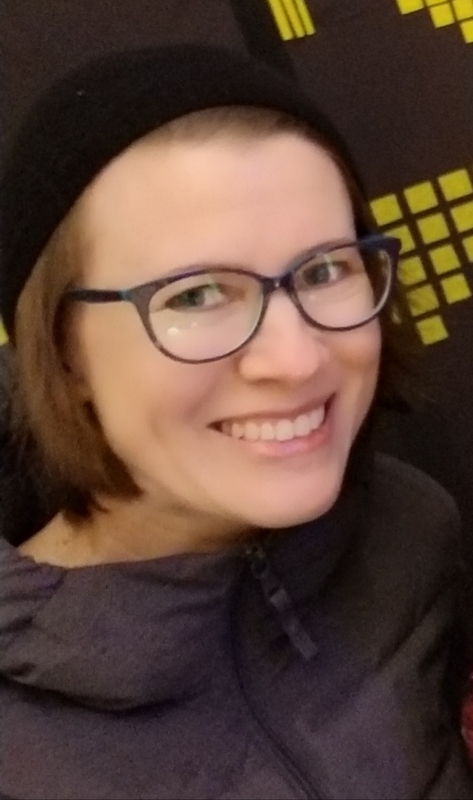 Kwan continues to be an asset to her community, sharing her wisdom, spirituality, and the power of her still vibrant platform to make the world a better place. I am looking forward to seeing this wonderful lady in person! 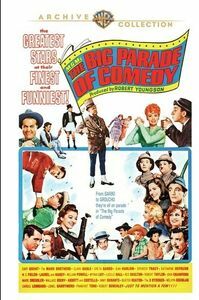 I suspect MGM’s Big Parade of Comedy (1964) isn’t a very good movie, but it caught me in the right mood, so I ended up enjoying this compilation film more than it probably deserved. It’s light and silly, though it sometimes has a questionable interpretation of comedy, most likely due to the fact that all of the material comes from films made from the 1920s to the late 1940s at MGM. Now available on DVD from Warner Archive, it’s an interesting product of its time. The film is a collection of clips featuring different MGM films and performers, with more entertainment-minded than informative narration from then popular radio host Les Tremayne. It’s interesting the choices producer Robert Youngson made, for instance, giving Jean Harlow a well-rounded tribute featuring several scenes, while Carole Lombard gets barely a mention. I don’t know of anyone who thinks Garbo’s Two-Faced Woman (1941) is a comedy classic, or Robert Benchley an enduring comedy star, but both get lengthy scenes here. There’s also genuinely funny material, including loving tributes given to William Powell and Myrna Loy, The Marx Brothers and Laurel and Hardy. A scene from Hollywood Party (1934) featuring Lupe Velez, Laurel and Hardy, and a bowl of eggs which demonstrates Velez’s underrated and mostly forgotten comic talent. Overall it’s a fun romp if you don’t go in expecting a definitive collection. There are undeniable classics and legends here and plenty of films and stars who didn’t end up enduring for good reason. It’s interesting to see the perspective on classic film comedy from 1964, where apparently silent films were still looked upon as goofy artifacts, if deserving of some admiration. I suspect that even at that time a funnier batch of clips could have been drawn from the MGM vaults, but there are laughs to be found here. Upon its release, 2001: A Space Odyssey (1968) became a sensation as a sort of Disneyland ride for grown ups. With its innovative, and trippy special effects, it was the perfect flick to experience while riding high on your favorite mind enhancer. In the years since, it has become a cultural touchstone, quoted and referenced often, if rarely on anyone’s list of favorite films. In a new book, Michael Benson explores the technical and artistic journey of the film’s production and the impact it made on audiences upon release. The book’s greatest strength is in the interviews Benson has conducted with key players in the film. 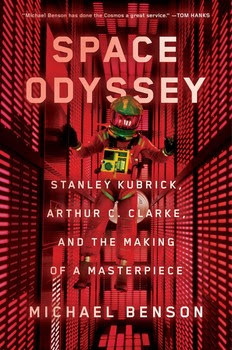 His conversations with 2001 scribe Arthur C. Clarke, Kubrick’s wife Christiane, and several members of the cast and crew enabled him to craft a richly detailed history. So much of the story is related directly by people who made the film that you get a palpable feeling of what it was like to be there. For that reason, this is an especially lively and engrossing production history. Having access to so much first source information has also enabled Benson to dig into the complexities of making the film, where second unit location shooting often held as much drama as Kubrick’s action at the studio. It is easy to see why movies go over budget and schedule when presented with how many tasks make up the creation of a scene, let alone an entire production. Understanding the importance of all of those elements is what made Kubrick an effective, and occasionally infuriating, filmmaker. Space Odyssey features a fascinating cast of characters, the most riveting being author Arthur C. Clarke and Kubrick. Much attention is given to Clarke, a brilliant eccentric whose pre-moonwalk knowledge of space was instrumental in bringing a sense of reality to the film. He wrote the story as a novel first, with Kubrick’s input after which he had little to do officially with the production, but he is present throughout nevertheless and his unconventional thinking helps to maintain a sense of wonder in an increasingly technical undertaking. Benson explores Kubrick’s complexities with impeccable objectivity, allowing his interview subjects to analyze a man who could be both generous and monstrous. When it came to the film, there was no crew member too insignificant to grab his attention. He was open to new ideas and would make time for anyone who had an inspiring concept. His passion for making exactly the film he wanted would sometimes go too far though and he often disregarded the safety of his cast and crew in order to get the shot he wanted. In a particularly disturbing passage, the director knowingly lets stuntman Bill Weston experience oxygen deprivation to the point of death because of his determination to get a shot. Perhaps the greatest compliment I can give this book is that I went into it not a particular fan of 2001: Space Odyssey and came away eager to give it another chance. Rewatching the film afterwards, I found the experience profoundly different because I had a greater understanding of the passion and intelligence behind it. 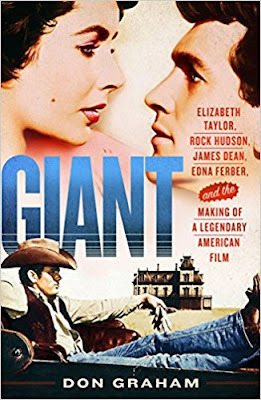 Edna Ferber’s Giant is an epic book that was adapted into an epic Hollywood film. That production featured a cast of Hollywood legends, up-and-coming stars, and durable character actors. In a new book, Don Graham reveals what happened when all these personalities coexisted for a time on a remote location in Marfa, Texas. The book is at its juiciest when it dishes about its leads: Elizabeth Taylor, Rock Hudson and James Dean. While I did not find much new here about these stars, the juxtaposition of their histories demonstrates what an odd trio they were: perfectly matched in some respects, horribly at odds in others. This is reflected in their varied relationships on set, where Dean and Hudson despised each other, while Taylor went back and forth between the two, having dramatically different experiences with both men. Around these three there was another social whirl, with supporting players for the most part excluded from the company of the stars like high school outcasts. Some, like emerging method actress Caroll Baker would find themselves drawn into that exclusive crowd and intoxicated by the acceptance. Others, like the seasoned Mercedes McCambridge, were less concerned with status, instead focusing on finding comfort and entertainment during a grueling shoot. So much of the production of the film is about these relationships and how director George Stevens presided over the group. For that reason, it makes sense that cast and crew interactions dominate the story here. This isn’t a film about technical issues, but rather the culture it reflected and the community that brought it to the screen. Author Edna Ferber felt strongly about her novel and the way that it was translated to the screen, and though she had little power over how the adaptation was approached, she never failed to provide input, and her point of view contrasts in an interesting way with the Hollywood take on Texas. Graham also digs into the details of pre-production and the critical reception after the film’s release. He shares a some interesting tidbits, like the fact that Stevens seriously courted Audrey Hepburn for the role of Leslie Benedict and that he originally envisioned Alan Ladd as Jett Rink. It’s intriguing to imagine how dramatically these casting choices would have changed Giant. This is a compelling portrait of a massive film. It covers a lot of ground, but remains engaging. I thought there was more biographical background than necessary on the three stars, but found the production notes fascinating and a solid document of the complexities in managing such a massive production. Many thanks to St. Martin's Press for providing a copy of the book for review. One of my suspense genre pet peeves is the plot that requires the protagonist to miss obvious red flags and continue to plunge into danger. It’s hard to root for someone who doesn’t have a lot of common sense. 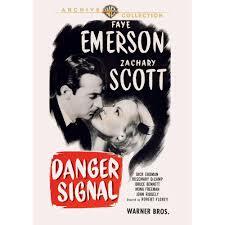 Danger Signal, which recently made its DVD debut from Warner Archive, manages for the most part to avoid falling into this trap. Here the predictable and the novel co-exist in an interesting film with a solid cast of players who didn’t often get star treatment. Faye Emerson is Hilda Fenchurch, a serious-minded stenographer who falls for her mother’s (Mary Servoss) mysterious new boarder Ronnie Mason (Zachary Scott). This much to the dismay of a shy scientist at her office, Dr. Andrew Lang (Bruce Bennett), who has a crush on her, and to the curiosity of the sophisticated Dr. Jane Silla who employees her (Rosemary De Camp). Then her kid sister Anne (Mona Freeman) returns home from a stay in a sanitarium to treat tuberculosis, further complicating the dynamic at home with Ronnie. The film begins with a mysterious scene, in which a woman is seen collapsed on a bed, while the hands of a man are shown removing her wedding ring and taking a large wad of cash out of her wallet while the landlady pounds at the door. The man is Ronnie and he jumps out the window just in time to escape the repercussions of whatever he has been up to in that room. Given this information up front, it’s easy to assume that Ronnie will keep whoever he meets in the dark until the final climax. That isn’t the case though, because Hilda is a remarkably intelligent heroine. While she initially gives in to Ronnie’s smooth line, she quickly realizes he’s trouble. What’s refreshing is the way she thoroughly discards her crush, seeing the situation for what it is. This is not a woman to be brought down by passion. Emerson plays this even-handed character with steady elegance, granting her her flaws, but always showing the strength within her. She is a woman with a good foundation. It’s almost amusing how completely Ronnie misses that he has met his match in Hilda. He’s so accustomed to destroying women that it hasn’t occurred to him that one could beat him at his own game. Every time he starts to lead the plot down a predictably menacing path, she steps in to take the action in a different direction. Bennett and DeCamp are equally intelligent, and that mental acuity gives them the means they need to help Hilda. They are a mighty team against Scott, who plays his role like he just came from doing the same thing in another film and is a bit shocked to see things aren’t playing out as usual. Basically, this is what a suspense thriller looks like when it is dominated by intelligent, clear-thinking people. Freeman takes on the more traditional role of the easily flattered ingénue and Servoss plays a woman simply too good-hearted to believe in Ronnie’s evil. Otherwise, everyone else seems to know where the bodies are buried, which gives this sharp film and its pleasing cast an extra edge. This is an 'A' quality production, despite its 'B' trappings. Happy Birthday to Doris Day, who has always brought sunshine to the world and who has been spending her retirement making life better for animals. Had to share this lovely fashion show from THE DORIS DAY SHOW to celebrate her day. If you would like to give Ms. Day a gift, why not donate to The Doris Day Animal Foundation?